Our Advent devotional products are designed and made in our facility in Steubenville, OH to aid your spiritual preparations for Christmas. 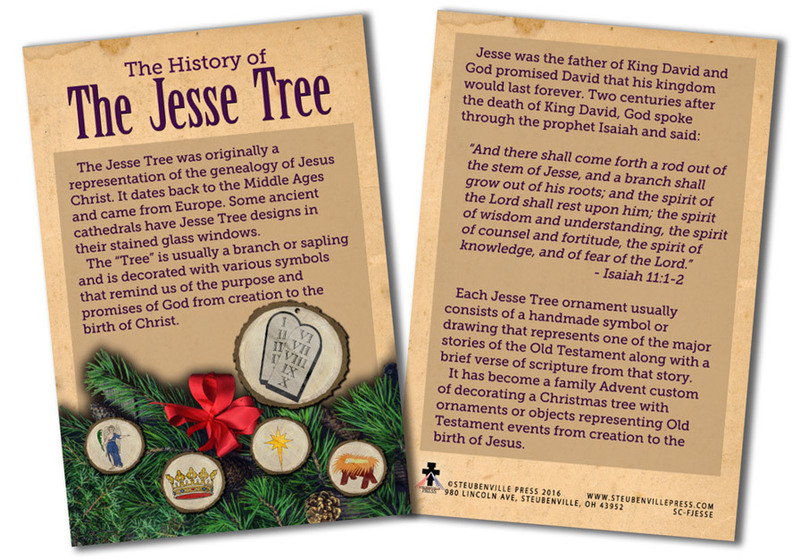 Learn more about traditional advent devotions such as the Jesse Tree, Advent Wreath, St. Andrew Novena and more. Use the cards, ornaments, and gifts that we have to offer to help you continue to pray, meditate upon the promises of Our Lord in the old testament, and keep remembrance of this necessary time of preparation. The stress and dissipation that can be caused by commercial Christmas, planning, and parties can lead us to forget the purpose of it all. Let us not neglect to prepare room for Our Lord's coming this year.